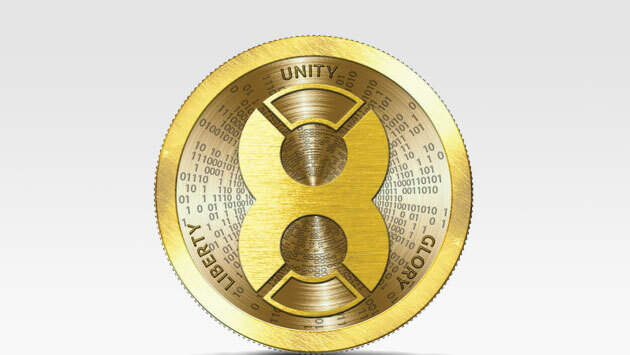 By Gregor Kozelj, founder of X8 Currency a revolutionary new store of value for the #Distributed and traditional economy and the ultimate #Currency. The strategy of the X8 project from the beginning has been to establish a strong connection with the decentralized economy approach. Almost everyone that follows the global development trend of the blockchain technology and cryptocurrencies understands that the world is moving toward a cashless society. This does not mean that consumers will be able to get things for free or that people will live in a socialistic type of society. It simply means that value will be exchanged between free market participants much more directly, without using cash as the intermediary. If individuals will be able to offer something valuable to the market and if they will be compatible to receive from others also their valuable things or services in a tokenized format, such exchange will allow for a direct cashless settlement between the parties. Of course, not everything will become tokenized, yet the tokenization does open new possibilities and the trend has practically just started. For now, cash still has a major role in the economy, but the transition is already ongoing. X8 project established the asset management business through its regulated sister company Alpine Asset Management AG. Alpine Asset Management started offering several unique products in the market, including the innovative Cash Stability Index and Crypto Opportunity Index for the traditional and the digital asset management market segments respectively. The asset management packages among others cover the conservative, dynamic and balanced management profiles. The clients will pay a quarterly fee for the asset management services. The fee will depend on the amount of assets under management. For the riskier management profiles the clients will also have to pay an additional performance fee, which will be paid from returns generated from the investment. Alpine Asset Management AG will accept X8X tokens as payment for the management and performance fees. Revenue of the company from the asset management activity, which will be collected in FIAT currency, will also be converted into X8X after covering for the costs and investments of the company. This means that the X8X token will also benefit from the activity of the asset management and not only from the X8currency activity of the project. Besides this, there will be extra activities connected to the X8X token in cooperation with partnerships that the Alpine Asset Management AG will establish on a B2B level. The details about these be announced separately and will be treated on a case by case basis. There will also be additional benefits for the existing token holders. If you already own the X8X tokens you can use this as a benefit to get a discount on all of the fees of the asset management service. Anyone will be able to pledge the tokens with the Alpine Asset Management AG and this way benefit from a 33% reduction of the amounts charged by the company for the fees. This will create an opportunity for the clients to achieve even better results and they will be able to decide by themselves how to utilize their tokens in the best way to obtain the best value. During our campaign additional information will be released about the process of pledging the tokens with the Alpine Asset Management AG. Alpine Asset Management AG’s products aim to innovate the traditional and digital asset management markets. Particularly, our unique fintech capability will support the asset management services and will open up new possibilities and new ways for investors to generate return on investment in the market. This is why the X8 project is happy to announce this big step forward! Importantly, the project will benefit from the activation of its core business since this will enable it to be less dependent on the cyclical nature of the crypto market. Together with this, the project will simultaneously enhance the use cases for its digital tokens and therefore also deliver more value to all our investors and supporters.